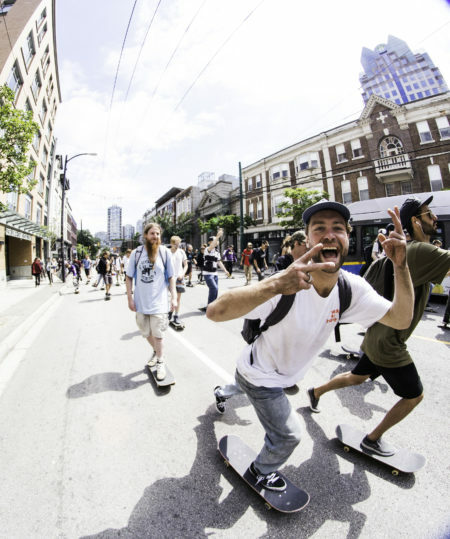 The streets were lit in Vancouver for 2018’s Go Skateboarding Day and Kaelen Morrison captured some of the action. 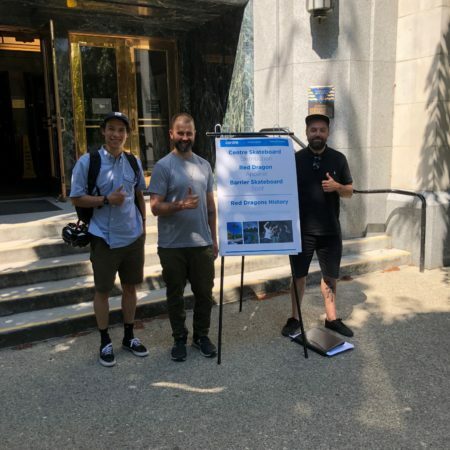 We are absolutely delighted to announce that yesterday June 19th, 2018 after a meeting with the City of Vancouver, the barriers located in the back of Centre Distribution are allowed to stay! 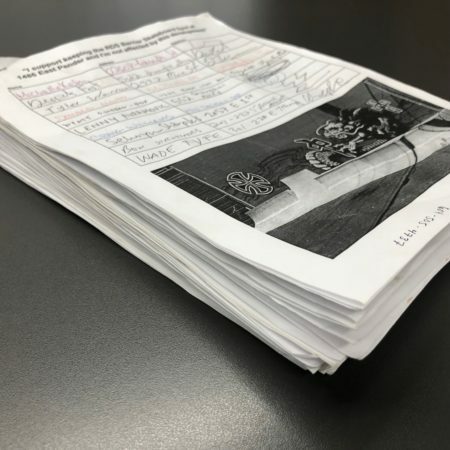 Thank you so much to each and every person who signed the petition and the team at Centre Distribution and Red Dragons for pushing this initiative. Thank you again to everyone for the amazing support, we are truly grateful that you chose to add your voice in the community and that we together we can see positive change in our city. Comments Off on Barriers are here to stay! 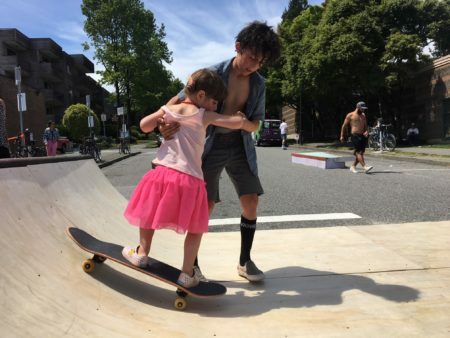 Quilchena Skateboard Park has been renewed and repaired! 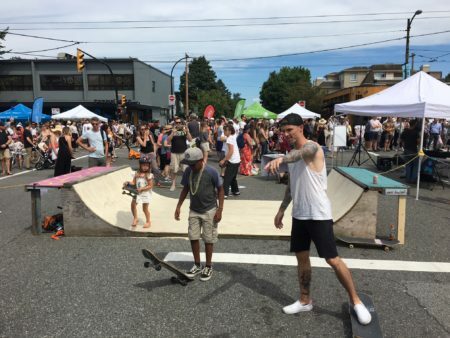 Located at West 30th and Magnolia, Quilchena is the only skatepark located in Vancouver’s Westside. 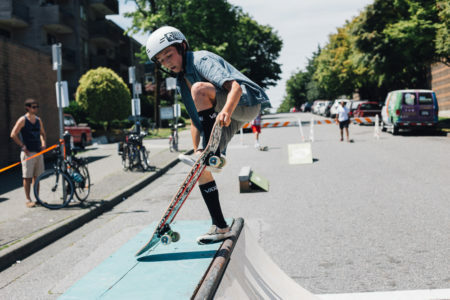 Centrally located between Kitsilano, Dunbar, and Kerrisdale the park has served as hub for many of the Westside Vancouver skaters since its creation in 2001. 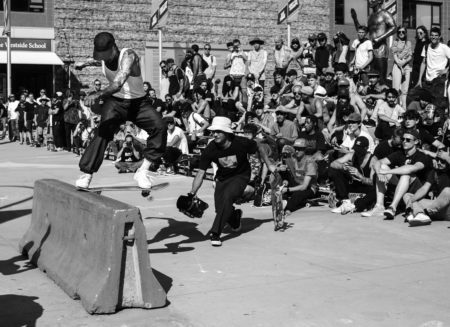 Originally built with limited number of obstacles such as ledges, banks and a flat bar, the park, prior to renovations, was generally felt to be lacking, and dated, and many of the existing features themselves were considered ( by modern standards) to be far from perfect and drastically in need of maintenance and repair. 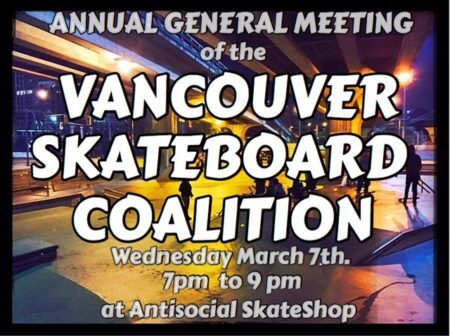 Early fall 2017, conversations began between The Vancouver Park Board, New Line Skateboard Parks, The VSBC and a select group of active community members. 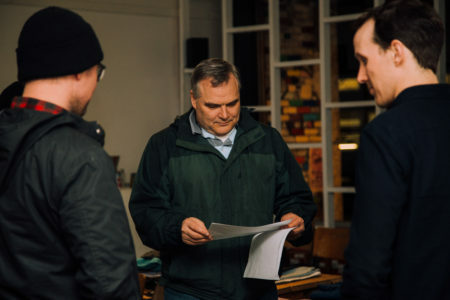 Through a series of following meetings and design consultations, a plan and design are agreed upon to renovate, modernize and add to the pre-existing facility. 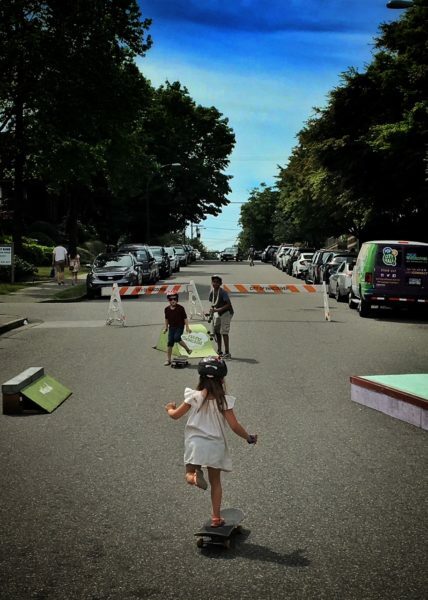 October 2017, the contract for the renovations to Quilchena Skateboard Park is awarded to and all work is to be completed by New Line Skateboard Parks. 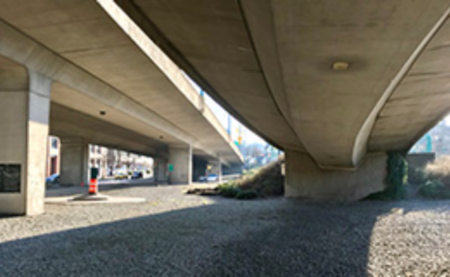 Construction begins November 2017 and one month later at the beginning of December the park is finished and reopened to skateboarders and the general public. Landscaping immediately around the perimeter of the space is scheduled by The Parks Board to completed this coming spring. The new renovated Skatepark now features an expansion of the park by a few meters, making room for a brand new “long ledge” bordering the edge of the space on the west side of the facility. 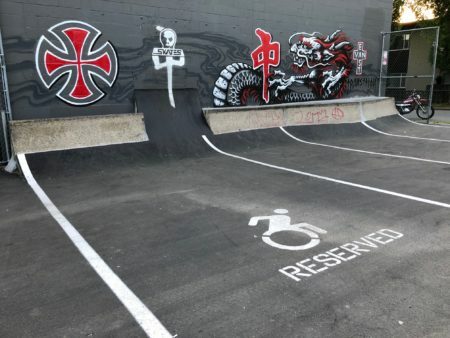 This new extension of surface also allows skateable access to both sides of the pre-existing granite ledge. The steep bank located at the southern end of the skatepark has been replaced with a quarter pipe, with a hip and roll-in. 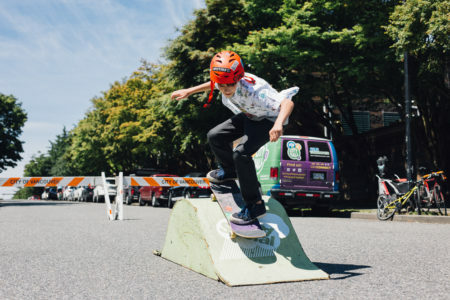 The centrepiece of the skatepark has been remodeled from a steeper “wall ride”; style bank with ledge sticking out of it, to a mellower more accessible bank, and the “inset ledge” has been rebuilt to stick out further from the bank so it can be better used. The north side of the skatepark, which originally was primarily used as a flat ground area; now contains a new slappy curb and DIY style quarter pipe with hand poured coping and two bowled corners. 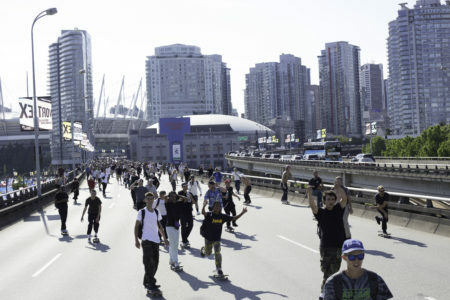 Finally, skateboarders living on the Westside of Vancouver after years of trekking to UBC, Hastings , The Plaza or elsewhere in the lower mainland, have a facility in their neighbourhood that is versatile, well rounded and meets the demands of modern-day skateboarding. 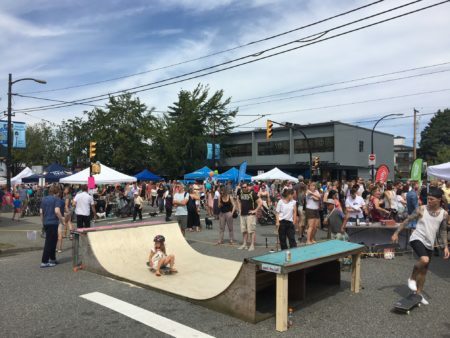 The VSBC is excited to be apart of these changes that have brought about a rejuvenation and excitement to what was once one of Vancouver’s most underused skateboard parks. on Go Skate Day 2017.
upcoming part in the Acronym video. 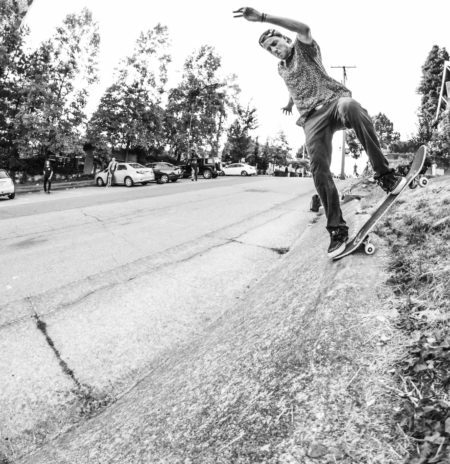 Justice Wilson one foots it at the legendary DIY park Leeside. Dolan Slingsby 360 flips at the Vancouver Georgia banks. Would you like to be a guestagrammer contact us via Instagram.